Have You Considered Text Messaging to Further Drive Candidate Engagement? Creating a unique and memorable experience is a great way to get candidates excited about working for your company. In order to create an unforgettable experience, you need to start with communication. And what better way to engage a candidate than through text messaging. By using text messaging, recruiters can easily start conversations with job candidates where they spend most of their time—on their mobile device—which means the candidate is almost guaranteed to respond back! While the average open rate for e-mail remains strong at more than 20%, mobile text commands a near-perfect 98% read rate. The speed at which the world moves today requires innovative tools that can keep pace with jobseekers’ growing expectations for instant, personalized interactions. 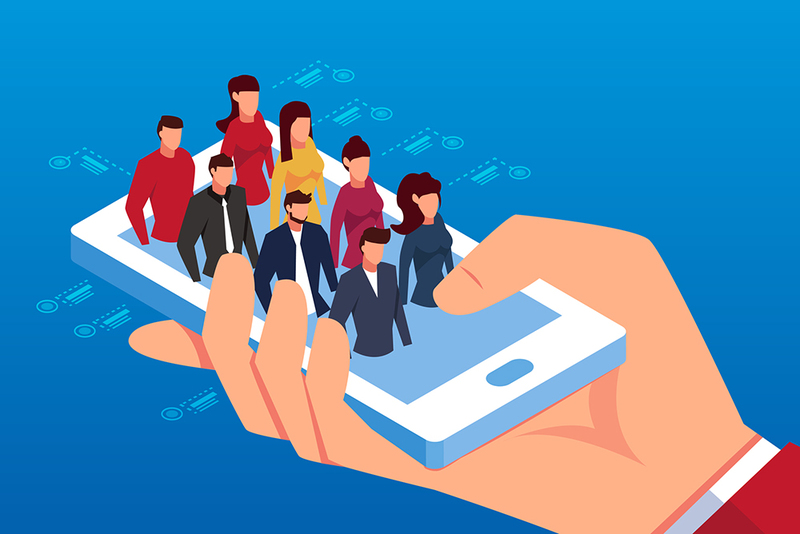 New technology, such as Jobvite Text (which is powered by Canvas), allows recruiters to effortlessly engage candidates in a customized way through their preferred form of instant communication: mobile text. When recruiters start off on a good note, they’ll end up creating the perfect experience. What’s More Painless than Text Messaging? Studies show that 95% of texts will be read within 3 minutes of being sent, with an average response time of just 90 seconds. When using text messaging, recruiters can leverage the power of text to instantly engage both active and passive candidates. When using technology, like Jobvite Text, hiring teams can even schedule texts in a sequence as part of their targeted recruiting campaigns to reach candidates where they’re most likely to respond. Tasked with managing a massive hiring funnel, today’s recruiters need efficient ways to sift through their talent pipeline. By utilizing chatbots, powered by artificial intelligence, recruiters are able to free-up time-consuming tasks that can quickly become automated—such as candidate outreach—which improves the jobseeker experience and allows hiring teams to get in front of the best talent before the competition. When savvy recruiters utilize new technology to improve his or her day to day job functions, not only are they freeing up their time to reach out to new candidates, they’re also offering a better experience to the candidates they’re reaching out to, which will also help create a winning experience and long-lasting impressions.